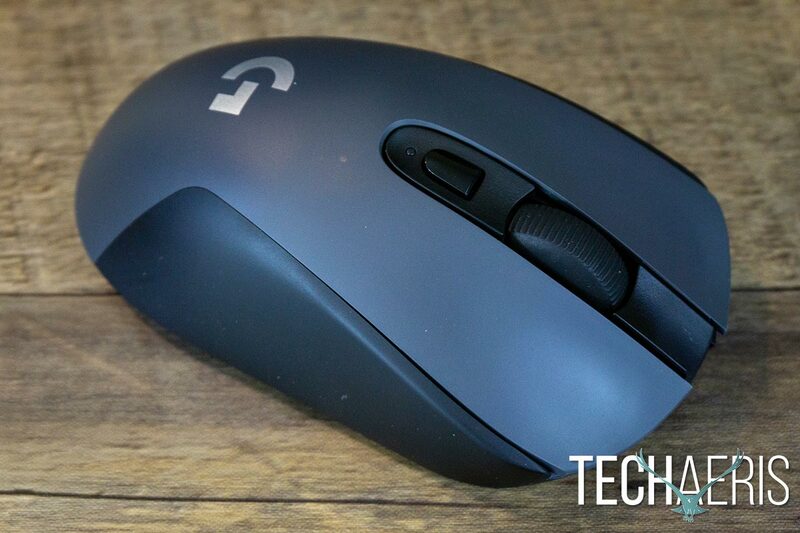 The Logitech G603 proves that wireless has come into its own and is a suitable choice for gamers wanting a wireless option without sacrificing performance. As I mentioned in our recently published Logitech G613 Wireless Mechanical Gaming Keyboard review, gamers by and large stick to wired peripherals for various reasons. As we found out with the G613, wireless peripherals can easily keep up with their wired counterparts. Our Logitech G603 review takes a look at the other half of the gaming input equation: a LIGHTSPEED wireless gaming mouse which boasts a 1ms response time as well as a Bluetooth connectivity option. 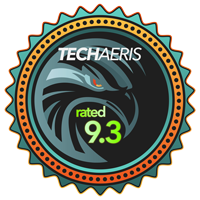 Read on to see if it’s as effective and reliable as the G613! 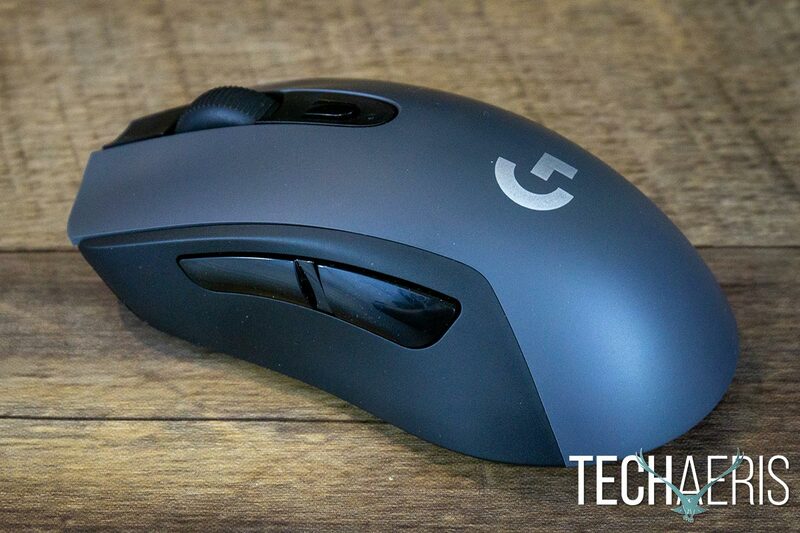 The Logitech G603 LIGHTSPEED Wireless Gaming Mouse has a pretty basic, ergonomic design that works rather well. It’s a bit on the narrow side but is a bit taller than usual which makes for a nice comfortable fit. 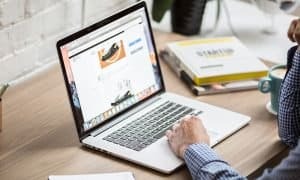 The top of the mouse features a seamless button design with the gray cover plate starting at the indented mouse buttons and curving back down over the palm rest and towards the back of the mouse. The Logitech G logo is printed on silver in the middle of the palm rest. The Logitech G603 LIGHTSPEED Wireless Gaming Mouse. The mouse buttons are nicely indented which allows for a natural fit as well. Between the mouse buttons is your standard textured scroll wheel. Below the scroll wheel is a single button and an LED light. By default, this is set to switch up your DPI on-the-fly and the LED light blinks a different colour to indicate which DPI setting you just switched to. Indented mouse buttons make for comfortable use. Both sides of the mouse are finished in black with two rectangle-ish glossy programmable buttons on the left side of the mouse. The top and sides of the mouse are finished with a soft touch paint style and it is a tad slippery but not slippery enough to be a cause of major concern when using it. Two programmable mouse buttons are on the left side of the mouse. The top plate also snaps off rather easily by lifting up on the front edge of the mouse buttons. Once popped off, you can see the mouse button switches as well as the dual AA battery compartments and a receptacle to store the USB receiver while transporting the mouse. Curiously enough, even though the mouse doesn’t come with weights to adjust the weight and feel of the mouse, it does run on a single AA battery. As a result, you can use both AA batteries for a heavier mouse or one in either the left or right battery slot for a lighter mouse if that’s more to your liking. 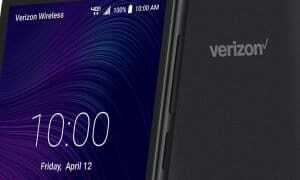 Of course, having only one battery in will reduce the battery life but we’ll talk about that later. The two AA batteries double as weights as the mouse only requires one to function. The bottom of the mouse has two semi-circle shaped gliders — one at the front and one at the back. Located in the middle, just above the center, is the Logitech HERO sensor surrounded by another full-circle shaped glider. On the left side of the sensor (when looking at the bottom) is the Off/Lo/Hi switch and on the right side is a button for toggling between wireless and Bluetooth mode. Overall, the Logitech G603 has a pretty basic design but it is fairly comfortable when using for extended gaming and general use sessions. 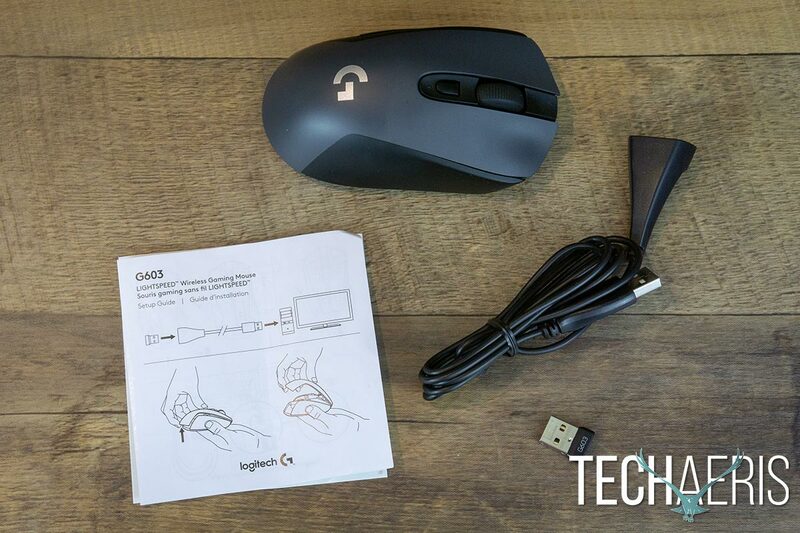 The Logitech G603 LIGHTSPEED Wireless Gaming Mouse is as easy as plugging in the LIGHTSPEED USB receiver to use. Pairing it via Bluetooth is almost as easy, especially if you’ve paired something over Bluetooth before. Of course, to get the most out of the mouse, you’ll want to install the Logitech Gaming Software which we’ll discuss below. 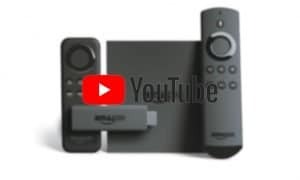 At any rate, we had no issues using it out of the box connected over USB or Bluetooth. The Logitech Gaming Software (LGS) is available for download from the Logitech G website and adds additional functionality to the Logitech G603 gaming mouse. 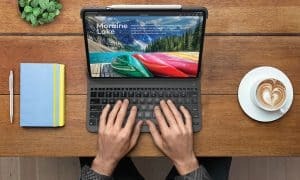 With it, you can adjust up to five different DPI settings, enable Shift DPI (temporarily changes the DPI while a key or button is being pressed), set the polling rate, assign macros, update the firmware, and store the current profile to the mouse for use on another computer without having to install LGS. 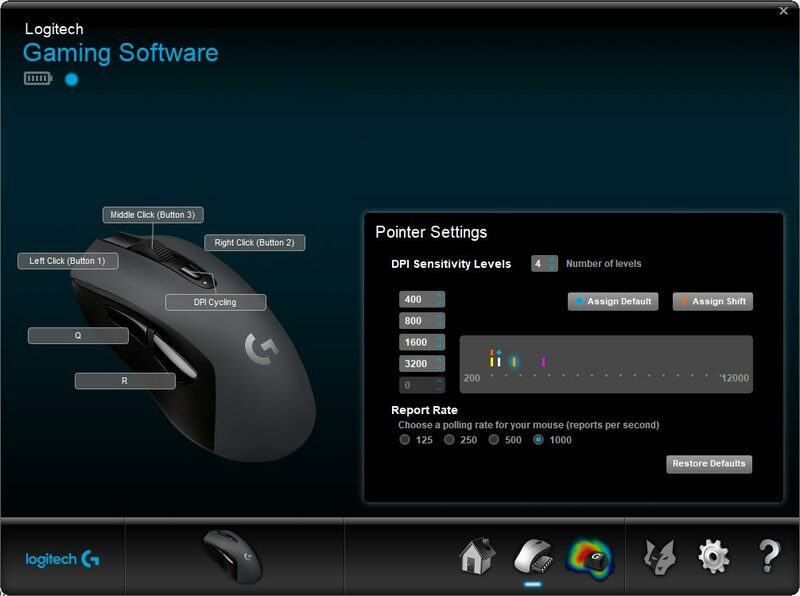 The Logitech Gaming Software settings and macro screen. As with the Logitech G613, you can also generate heat maps of the button clicks and duration the buttons are held down on the mouse as well as your clicks per minute. 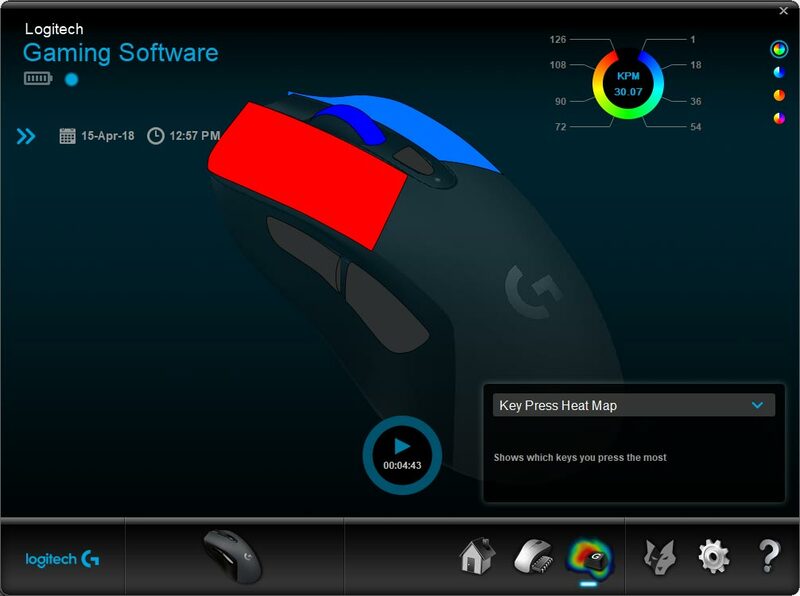 The Logitech Gaming Software heat map for the G603 gaming mouse. 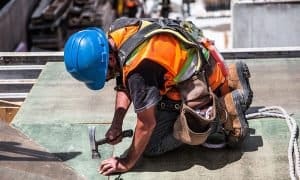 LGS is pretty straightforward and fairly easy to use but it can take a bit of figuring out on how to properly configure a macro if you’ve never done so before. 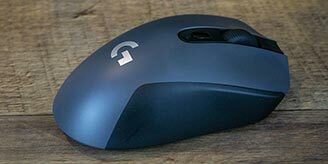 Like the G613, the big question is, of course, just how well does this wireless mouse perform while gaming? Suffice it to say, I was super impressed with the responsiveness of the mouse during gaming and general use. I never felt like there was any lag running on Hi mode with its 1ms response rate time. With Lo mode, you’re looking at an 8ms response time which is still admirable but the lower the better, even at the expense of battery life. Movement responsiveness was great as well and being able to adjust DPI on the fly is a must have feature on gaming mice. 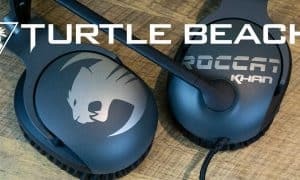 The mouse performed decently over Bluetooth as well, although the response time is a much lower 7.5 – 11.25ms (according to Logitech). 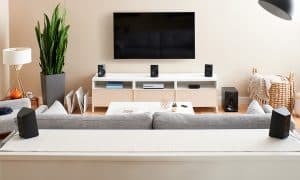 When using in Bluetooth mode, performance seemed fine as well, but again, faster is obviously better so you’ll want to use it connected with the LIGHTSPEED USB receiver when gaming. 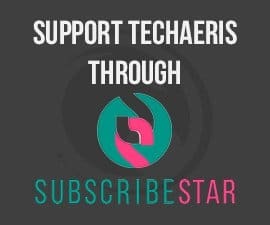 If you do have issues with the G603 connecting to your computer due to your setup (desktop computer under your desk for example), you can always use the included extender USB cable to move the USB receiver closer to the mouse. 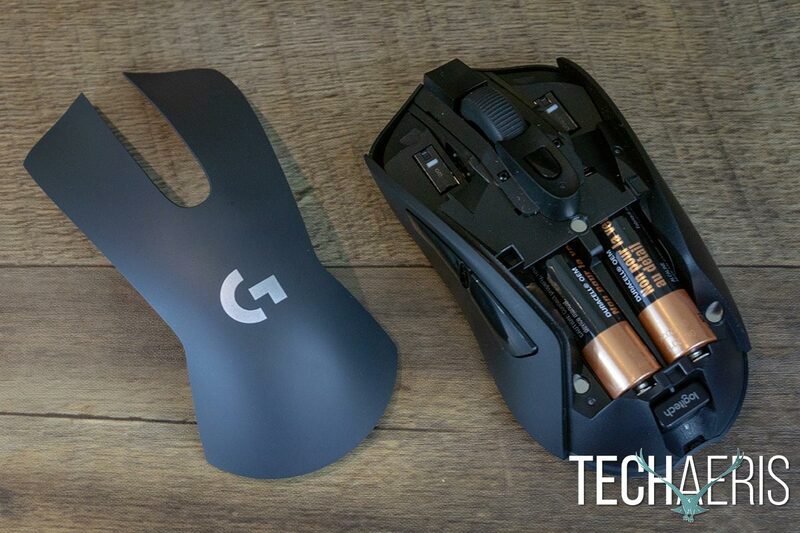 Like its keyboard counterpart, the Logitech G603 claims an 18-month battery life with the two AA batteries in Lo, general use mode. In Hi mode, Logitech claims a 500-hour gaming battery life. 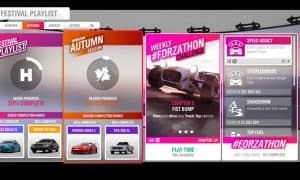 While we haven’t played 500 hours of gaming in the past couple months, we’ve definitely used the mouse for 2 or 3 hours a day and it is showing no signs of slowing down. Once the battery life hits 15%, the LED on the mouse will blink and LGS will also supposedly warn you so you can change your batteries out so you don’t have to worry about the mouse dying mid-game. As previously mentioned, the AA batteries are easily replaced by lifting the cover plate. With an MSRP of $69.99USD, the Logitech G603 is on the lower end of the high pricing range of gaming mice. 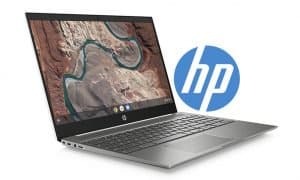 While it’s a pretty decent value given its responsiveness and wireless or Bluetooth connectivity choice, it’s currently on sale for $57.89USD on Amazon offering even better value. There used to be a time when gamers would scoff at wireless gaming peripheral options and many probably still will. However, the Logitech G603 LIGHTSPEED Wireless Gaming Mouse proves that wireless has come into its own and is a suitable choice for gamers wanting a wireless option without sacrificing gaming performance. 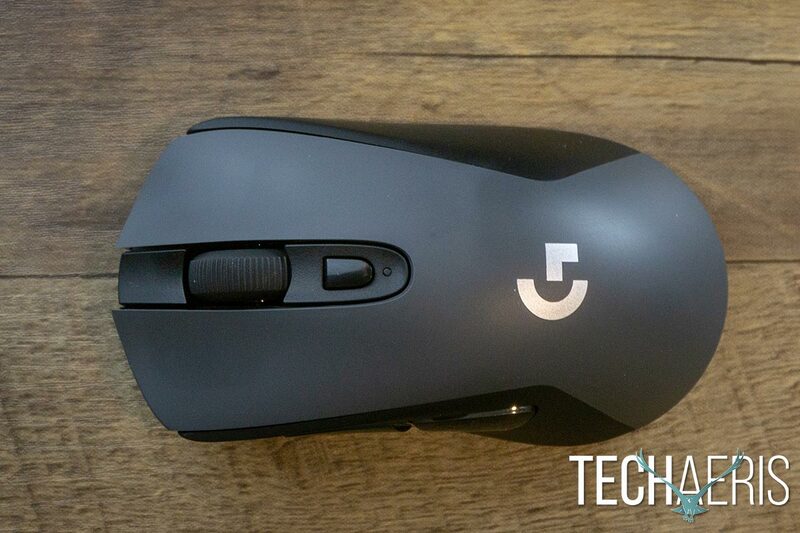 *We were sent a sample of the Logitech G603 LIGHTSPEED Wireless Gaming Mouse for the purposes of this review.